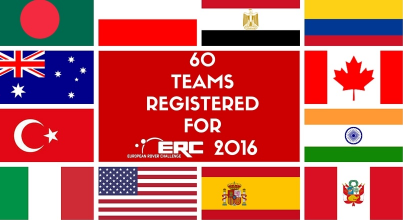 60 teams have registered for the Third Annual European Rover Challenge (ERC). They hail from 12 countries, including Canada, Italy, Poland, Peru and the U.S. The final round of the competition will take place in Jasionka, Poland, September 10-13, 2016. In addition to participating in this major Mars rover competition, one of the main cores of the Rover Challenge series sponsored by the Mars Society, teams this year will participate in a mentoring workshop, according to ERC Director Lukasz Wilczynski. All the teams participating in the various rover challenges (ERC, the University Rover Challenge in the U.S. and the UK University Rover Challenge) will earn points, and at the end of the season, the best team in the robotic world will be announced. A major task awaits the teams that have signed up for the 2016 ERC competition. It involves the preparation of The Preliminary Report, which should contain detailed information on their rover project. The deadline for this report is May 5, 2016. Based on the total score of this section and of the Proposals (submitted by the teams along with their applications) that are currently being evaluated by judges, the best teams will be selected to compete for victory this September. The ERC is not only the largest competition in Europe, but is also a major business zone for space industry-related and scientific/technology shows dedicated to a wide audience, including families with children. ERC is a very special educational event, having attracted in previous years a total of over 50,000 spectators.